The 2018 Donor Run supported by Birmingham Women’s and Children’s Hospital Charity and the Queen Elizabeth Hospital Birmingham Charity will help raise awareness of the NHS Organ Donor Register, the Anthony Nolan Register and the benefits of transplantation and help save lives! More than 7,000 people in the UK currently need a transplant, sadly 3 people die each day waiting for a transplant. 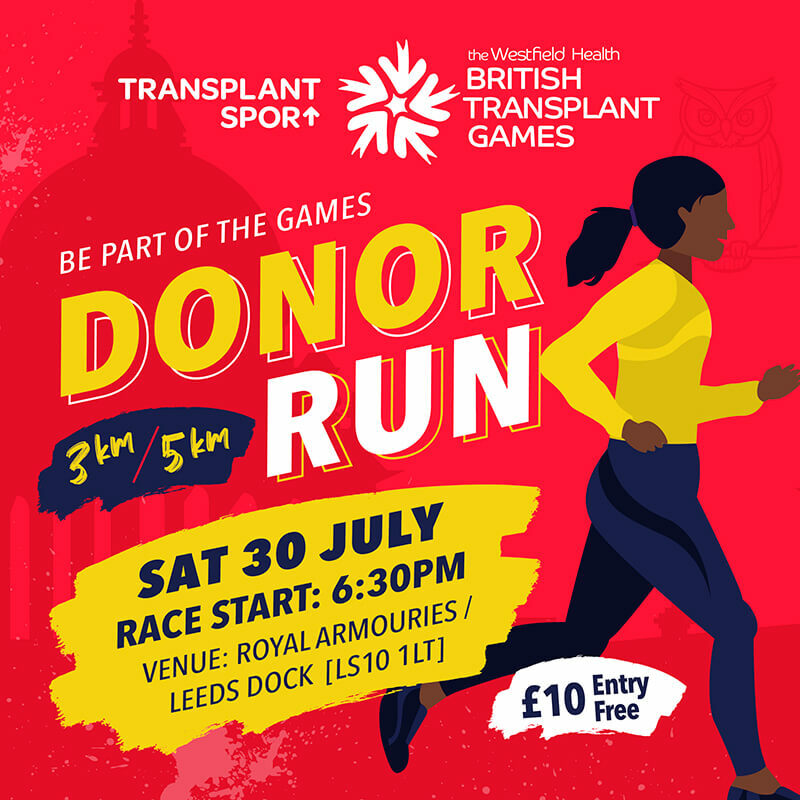 The Women’s and Children’s Hospital Charity Birmingham and the Queen Elizabeth Hospital Birmingham Charity are the Charity Partners of the Donor Run. For more details please visit bch.org.uk and bwh.org.uk or alternatively, one of our fundraising team would be happy to help on phone 0121 333 8506 or email fundraising@bch.org.uk To learn more about the Queen Elizabeth Hospital Birmingham Charity, please visit hospitalcharity.org or contact the Charity team on 0121 371 4852 or charities@uhb.nhs.uk. Transplant Sport along with your help would like to raise awareness of organ donation and help reduce the number of deaths each year. There will be two races, a 3km and a 5km and the entry fees are £10 per person. Sorry but online race entries are now closed but you can still turn up and register and run on the day. Thanks for all those who have entered and are supporting the event. Please keep visiting the race website and/or facebook page for event updates.